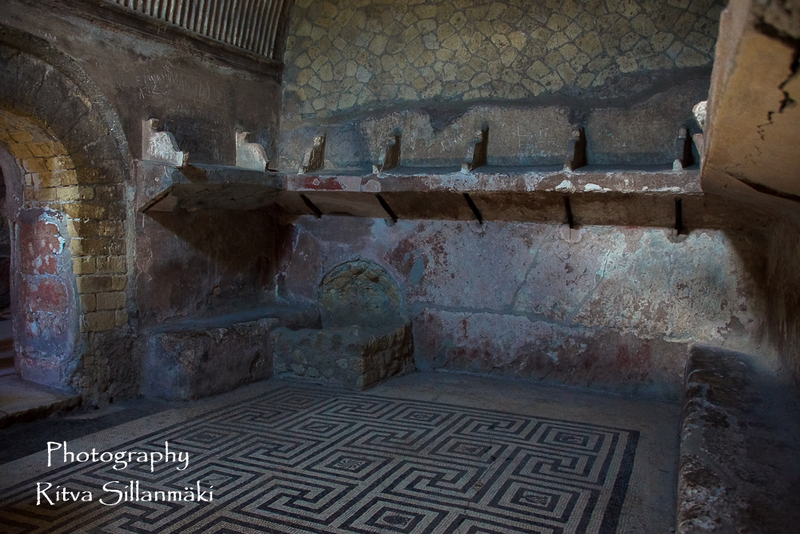 The Central Thermae were bath houses built around the first century AD. 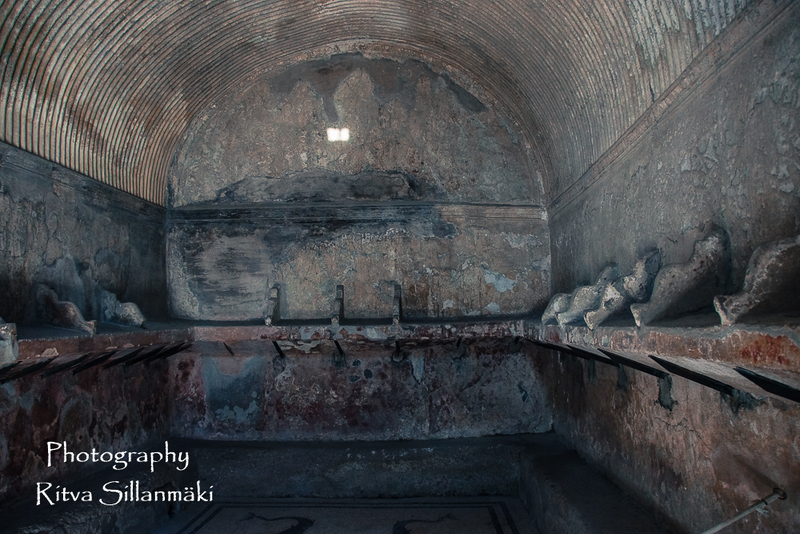 Bath houses were very common at that time, especially in Pompeii and Herculaneum. 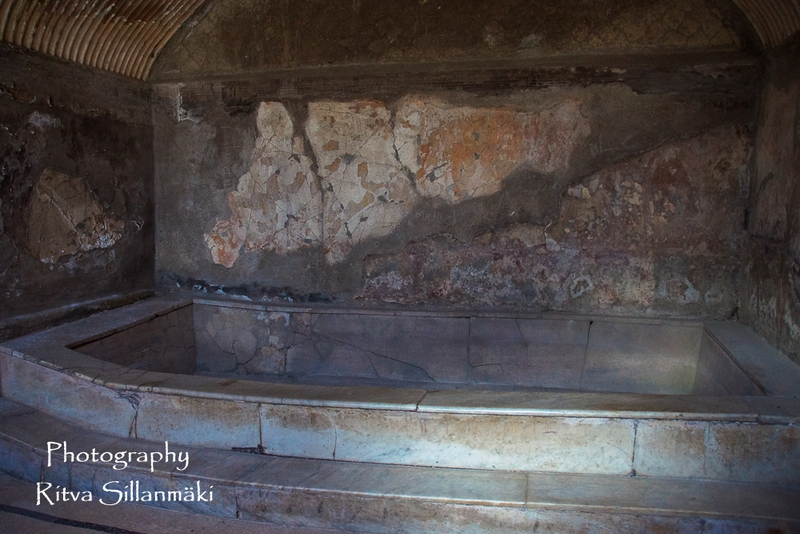 Per common practice, there were two different bath areas, one for men and the other for women. These houses were extremely popular, attracting many visitors daily. 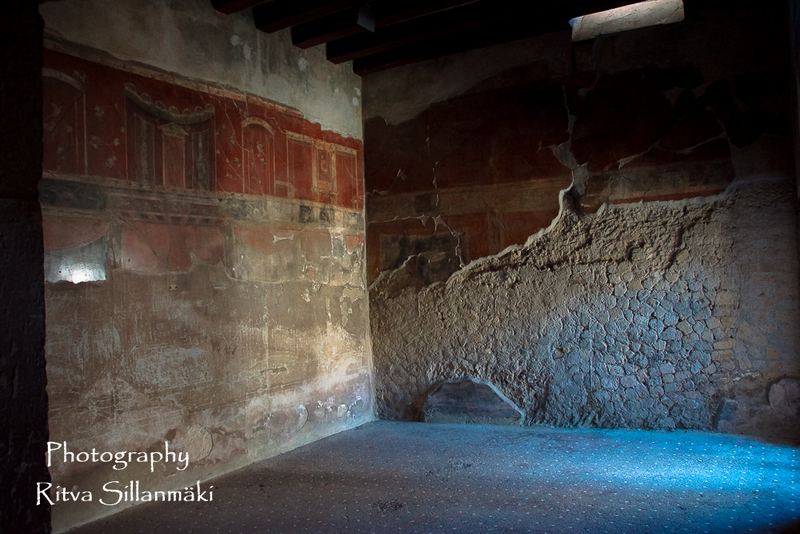 This cultural hub was also home to several works of art, which can be found in various areas of the Central Thermae site. I love this sort of thing!! Thanks so much for sharing. On se ollut yltäkyltäisyyden ja kauneuden aikaa! Ihanat nuo seinille maalatut kiipeilevät kukat, ruusut.